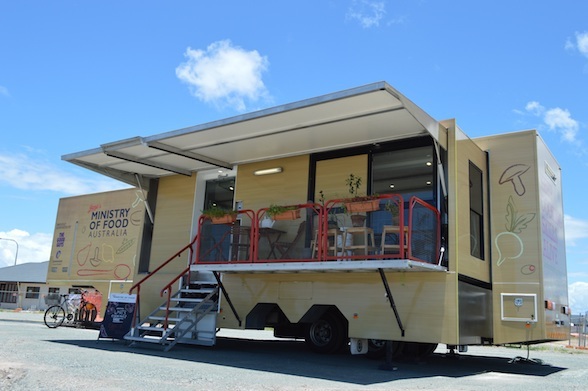 Jamie's Ministry of Food Mobile Kitchen is set to visit Burleigh Heads for the first time, its 20th location since it commenced its travels around Queensland in 2012. Jamie's Ministry of Food Australia is delivered by The Good Foundation throughout Australia. Queensland Health provides funding to support the delivery of the program throughout Queensland and the Mobile Kitchen is supported by Stockland while in Burleigh Heads. An innovative, community-based cooking program, the 5-week course in Burleigh Heads is based on Jamie's beliefs about cooking and the associated impact on healthy living. The program teaches the fundamentals of home cooking with Jamie's hints and tips, in an effort to encourage people to cook from scratch with fresh food. The courses are taught in a fun, social and relaxed atmosphere, designed for all skill levels and anyone aged 12 years and over is welcome to take part. Each week, you will learn how to cook simple, healthy and tasty meals using fresh ingredients, building upon skills learnt from the previous lesson. Shane Monro, Acting Centre Manager, Stockland Burleigh Heads, said "We are thrilled to be a part of this positive program and to be bringing the Jamie's Ministry of Food Mobile Kitchen to our customers. Stockland always strives to create a better way to live and we see this initiative with The Good Foundation as a perfect example of this objective for the local community." Jamie's Ministry of Food Mobile Kitchen is located at Stockland Burleigh Heads - Post Office Carpark, 149 West Burleigh Rd, Burleigh Heads, Qld 4220. The 5-week course is being held from Thursday 27th July to Wednesday 30th August 2017, with one 90 minute class per week, for 5 weeks. Day, evening and weekend options are available. Cost: Concession: $50 ($10 per class) Student: $75 ($15 per class) Adult: $100 ($20 per class). 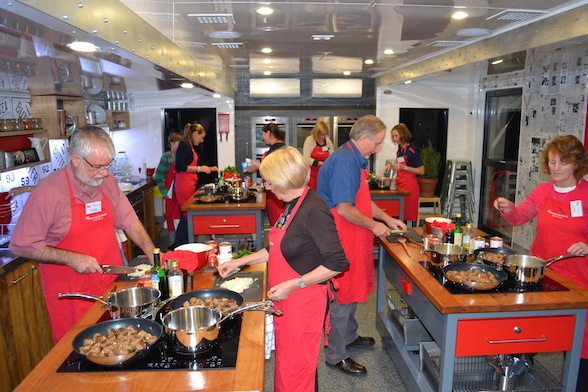 Each class has a maximum of 12 participants and is completely hands on so you get to see, smell, feel and taste everything that you cook!